New Galloway Golf Club is a delightful 9 hole golf course located in the South of Scotland. We welcome visitors to experience playing in a magical place. 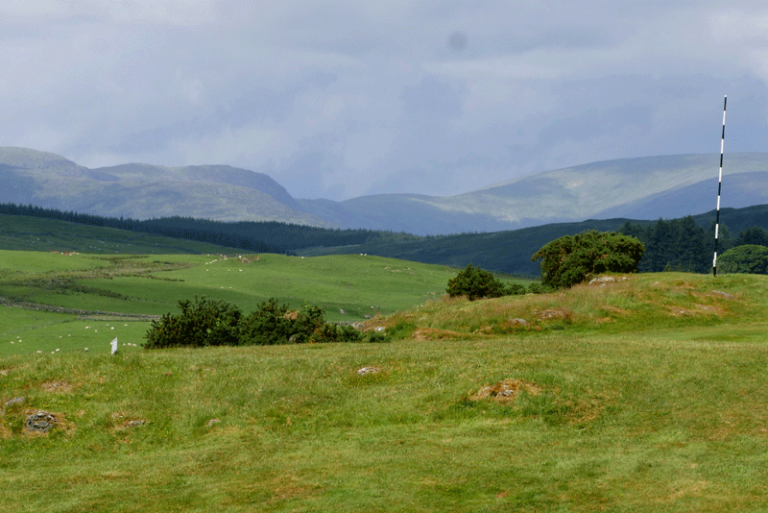 It is a gem among rural courses in Scotland and noted for its superb natural greens and views. New Galloway Golf Club members are proud of their golf course and feel it is probably the best 9 hole golf course in Scotland. 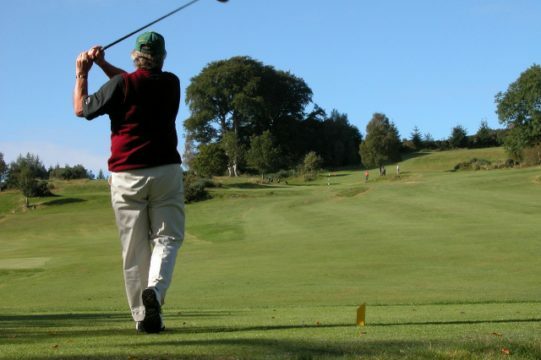 The course climbs from a traditional clubhouse in a woodland setting up the first two holes to open moor land where golfers may enjoy views of Loch Ken and the surrounding Galloway Hills. It is kept in superb condition and it is noted for its natural greens and fairways. The playing experience is heightened by quality of the turf benefiting from an abundance of bents and fescue type grasses. The Club welcomes new members and encourages those who wish to have a go. Trial membership is available at £60 per month which will be offset against the full membership subscription should a member subsequently decide on full membership. Golfers who wish to become full members may pay their subscription in six instalments. Contact the Secretary on the Contact Us page. Find the Membership button for a form to send to the Secretary at the Club address to join us. 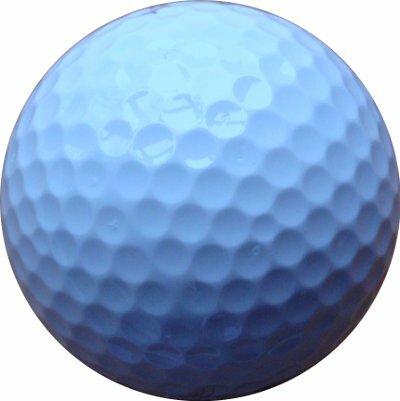 The answers to a whole range of questions on joining a golf club are found on the SGU website – why play golf. The Club was founded in 1902 and serves the Glenkens area of the Stewartry in south west Scotland. Balmaclellan, New Galloway and St. John Town’s of Dalry are small communities in the vicinity of the Club. The original traditional clubhouse dates from that time with various additions in the early years has been retained. It is a small Club with 119 members. Members benefit from the traditional and rural Scottish ethos of inclusiveness making it easy to join in. Members turn up for most competitions to be included in the draw for partners and enjoy playing with different players. We have Sections for Ladies, Gents and Juniors with a thriving Seniors Section for men and women. Competitions are listed on the fixture list.